An inspiration, a pet advocate, a friend. It is with a heavy heart that I post to honor Dr. Sophia Yin, a founding writer and advisor for Pet Health Network, who passed away unexpectedly on Monday, September 29. Many others have already written beautiful memorials for Dr. Yin. I will not attempt to recreate them here, but strongly encourage everyone to visit her Facebook page and her website to learn more about an inspirational force for good who worked tirelessly to make an impact. I’m saddened to think what a huge loss this is for pets and people everywhere, let alone those who were close with her. Dr. Yin's dedication to the cause of helping people and pets drove her to become a veterinarian, an animal behaviorist, a writer, speaker, videographer and so much more. Here at Pet Health Network, Dr. Yin played a large role in helping to shape the site in its infancy — enabling it to become what it is today. She had an impact on just about every member of our team, whether personally, professionally or as an inspirational educator who always pushed to make things better. This impact was especially evident in the calls I had with our advisors and writers when I learned about her passing. While the shock and sadness from each person was evident, the overwhelming respect and admiration was even more so there with each and every person I spoke with. And that’s why I wanted to honor Dr. Yin by sharing just a few of the remarks and words shared by the members of this team. Rather than talking about how she impacted me personally (which she did), through this forum we hope to honor her and highlight just a small way she impacted this world. Sophia will be greatly missed. Those are the first words I remember my dear friend Dr. Sophia Yin telling me about a common animal training technique I had mentioned during a lecture. That was about fifteen years ago and it still bugs me. It still bugs me because not only was she absolutely right, but also in that moment I began questioning everything I’d been taught about animal behavior and training. I’m sure she had this effect on many of us during her career. Come to think of it, I can’t remember Sophia ever being wrong about anything. That's what makes her loss so devastating for so many. "Dr. Yin's mission in life was to improve our understanding of animals and their behavior so that we can care for, appreciate and enjoy our time with them better. If changing the world was a goal, she achieved that through her many books and handouts on pet behavior. Her most recent, now considered a bible, "Low Stress Handling, Restraint and Behavior Modification of Dogs & Cats." 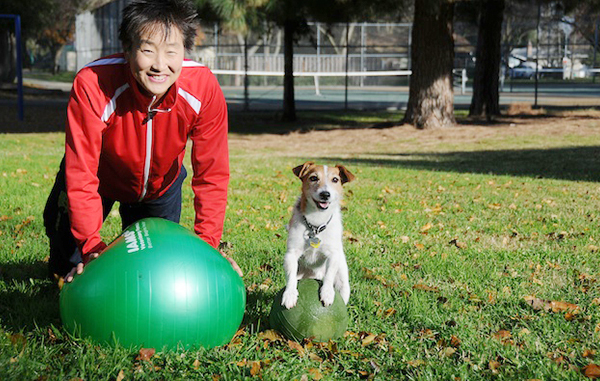 Through her YouTube page, and Facebook following Dr. Yin reached countless pet owners. 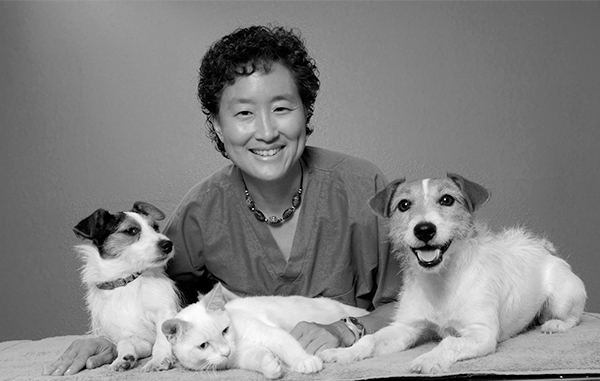 "Dr. Sophia Yin was a true icon in the veterinary profession. 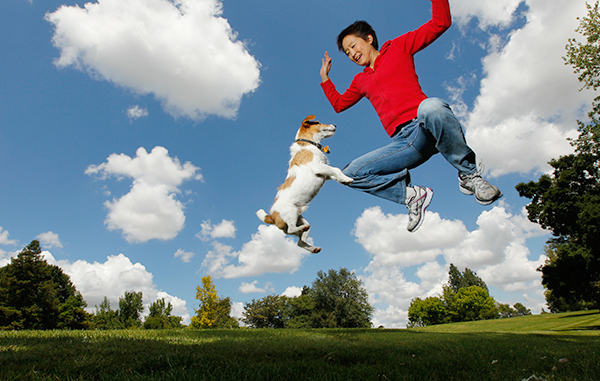 As a specialist in the American College of Animal Behaviorists, Dr. Yin made it her mission to enlighten as many people as possible about humane ways to bring out the best in an animal’s behavior. Watch any of her many YouTube videos and you will see a master at work. Always with patience, calmness, and a smile on her face. Dr. Yin was a prolific author, speaker, and a leader at the forefront of the revolution against the deeply entrenched dominance-based approach to dog training. Something I appreciated about Dr. Yin was her approachability. None of my emails or phone calls to her ever went unanswered. She was always very much present and helpful with me. Whether you realize it or not, through your veterinarian, dog trainer, groomer, or pet sitter your life with your pet has likely been positively impacted in some way by this wonderful veterinarian with a huge and generous heart. "I was shocked and saddened to learn on Monday of the death of Sophia Yin. Unlike many of you I did not know Sophia personally but I am well acquainted with her professional commitment and contributions to the profession and the pets and people we serve. Sophia made many real contributions to her field and impacted countless pets through her dedication and skills in the field of animal behavior. I know she will be missed by family and friends who may never understand this loss but her spirit will live on in the results of her teaching for years to come. It is often impossible to really know someone and we often do not fully appreciate their struggles. It is so important to always care…to be kind and supportive of one another. That is the greatest lesson to be learned from such a loss. Our greatest and highest purpose is to make a difference in the lives of those we know and serve. Sophia worked very hard to serve that purpose. The next time you are confronted with the opportunity to show compassion, think of Sophia. I will."